I noticed an attack on this letter (below) in the comments at third party media basically smearing Médecins Sans Frontières (Doctors Without Borders) by association with Bernard Kouchner, a man that departed the organization over 35 years ago over philosophical differences. I had supported Doctors Without Borders because they had been apolitical, and largely neutral in conflicts. This neutrality had begun a process of erosion in Syria. Unlike the attack on the MSF hospital in Kunduz, Afghanistan, where there was no question of which belligerent controlled the air power responsible (NATO’s USA), and where the organization called for an independent, third party investigation, those actors responsible for the attacks concerning the MSF aligned clinics in Syria are not as convincing and clear, arguably creating even more pressing demand for impartial, third party investigation. 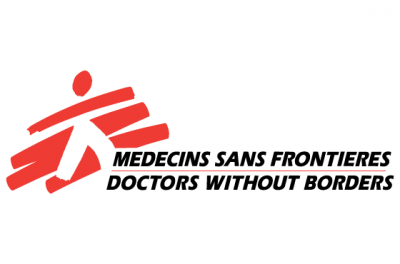 Following these most recent attacks on clinics aligned with Médecins Sans Frontières (Doctors Without Borders) in Syria, Mego Terzian, President of MSF France, immediately blamed Russia and Assad. MSF International President has gone on record also blaming Russian aligned forces, stating “It was probably carried out by the Syrian-government-led coalition that is predominantly active in the region.” This statement of Dr Liu is disingenuous. Turkey is a major player in its support for jihadi militia in that very area and has a vested interest in information operations intended to undermine the coalition supporting the Assad regime. This is the purpose of false flag attacks. Recent history demands if the finger of superficial appearance had pointed to the NATO aligned nations, there would be calls for impartial investigation rather than immediate trial and conviction by propaganda operations perpetrated in western media. – The Maidan snipers in Kiev trained by the CIA according to Member of European Parliament, backed by a leaked phone call between the EU foreign policy chief and the Estonian Foreign minister revealing the snipers were aligned with the new regime in Kiev. This crime had been blamed on the Russian aligned preceding government.